EU referendum: What happens now in the Brexit debate? Britain is facing its biggest political decision in decades: Remain a member of the European Union, or walk away from the world's largest single market? Prime Minister David Cameron has proposed June 23 as the date for the historic referendum. He will campaign for the U.K. to stay in the EU. The British economy is the second largest in the EU. Its decision on whether to stay or go will have big implications not only for the people of the U.K. but also global financial markets and the future of Europe. 1. When does the campaign formally begin? British law requires that the campaign begins no later than 10 weeks before the date of the referendum. That means lawmakers will have to debate and pass an order confirming the June 23 date by April 14. Lawmakers also have to agree on detailed rules covering the referendum campaign, the administration of the vote, and funding for the poll. 2. How much can the campaigns spend? There's no universal limit on how much can be spent promoting arguments for, or against, Brexit. However, the U.K. Electoral Commission will determine "lead campaigners" on both sides, and their spending will be capped at £7 million ($10 million). They will have to publish details of any individual loan or donation over £7,500. Political parties can spend cash by contributing to the lead campaigns, or registering as campaigners with the Electoral Commission. Either way, they can only spend up to limits based on their share of the vote in the last general election. That means Cameron's Conservative Party could spend up to £7 million, and the main opposition Labour Party £5.5 million. Other individuals and organizations are free to campaign if they spend less than £10,000. If they want to spend more, they have to register with the Electoral Commission, and their spending will be capped at £700,000. 3. Who can vote, and what's the question? British and Commonwealth citizens over 18 who live in the U.K., and U.K. nationals who have lived overseas for less than 15 years, will be able to vote in the referendum. As will citizens of Gibraltar. EU citizens living in the U.K. -- except those from Ireland, Malta and Cyprus -- will not have a vote. Eligible voters will be asked: "Should the United Kingdom remain a member of the European Union or leave the European Union?" 4. When will we know the result? Counting will begin at 10 p.m. local (5 p.m. ET) on June 23 and continue overnight. The result will be declared as early as possible on June 24. The announcement will be made in Manchester, at the regional counting center for the northwest of England. If Britain votes to leave the EU, Prime Minister Cameron will have to inform other European leaders formally, triggering two years of complex exit negotiations. Cameron says he will oversee those talks, but he is almost certain to face calls from within his own party to quit. 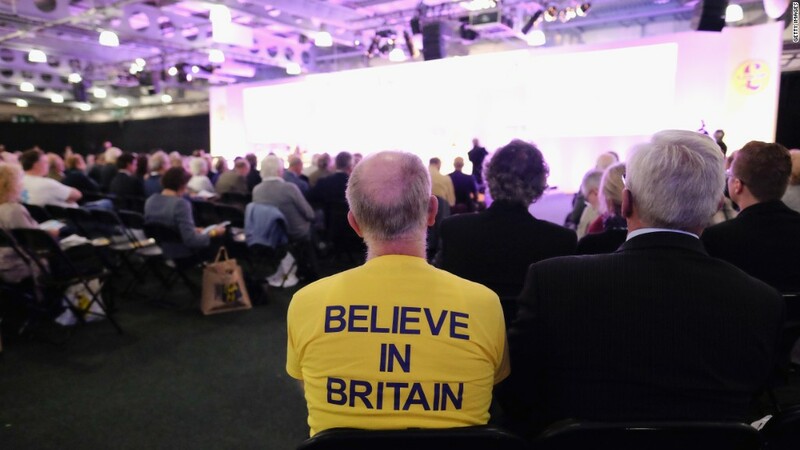 If Britain votes to remain, Cameron will have to make a reformed relationship with the EU work.